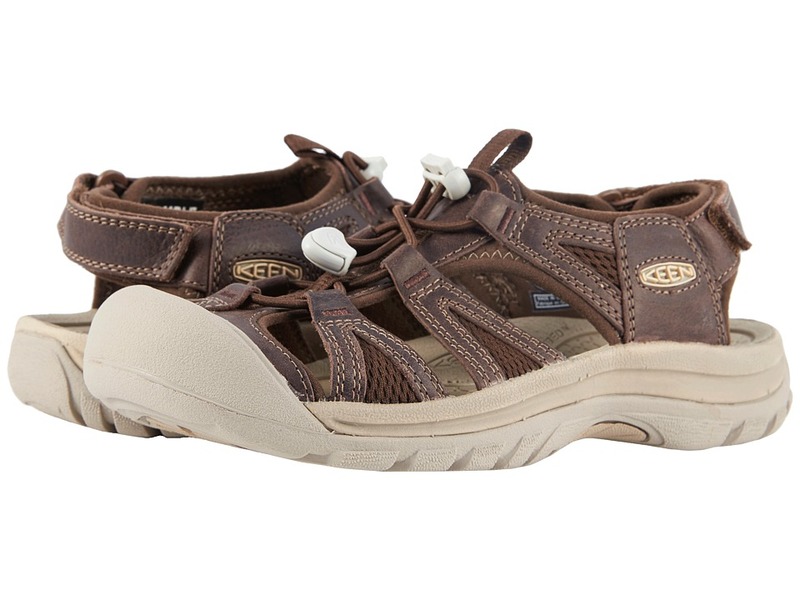 The durable construction with environmentally conscious materials of the KEEN Venice II sandal provides both long-lasting comfort and style. Leather upper with breathable mesh windows for added breathability. Leather is an environmentally preferred premium leather from an LWG-certified tannery. PFC-free construction with durable water repellency. Secure-fit lace-capture system for easy adjustability. Adjustable heel strap for a custom fit. Toe guard so you can worry about the activity, not your toes. Metatomical, compression-molded EVA footbed has an internal support mechanism that is anatomically engineered to provide excellent arch support and cradle the natural contours of the foot. Footbed features Cleansport NXT&amp#8482 anti-microbial treatment for better anti-odor protection. Compression-molded EVA midsole for added cushioning and shock absorption. ESS shank offers lightweight support and stability. Non-marking rubber outsole infused with upcycled rice husk for a lighter weight design that still provides excellent traction and durability. Outsole features multi-directional lug pattern with razor siping for superior slip resistance on wet surfaces. Imported. Measurements: Weight: 9 oz Product measurements were taken using size 7, width B - Medium. Please note that measurements may vary by size. Weight of footwear is based on a single item, not a pair.